We will be letting our subscribers be the first to know once the class is available. Our subscribers will be able to take our course at a discounted rate so be sure to sign up to be alerted as soon as this opportunity is available. As a thank you, you will receive our FREE Design Project Check List which details our Top 5 Tips for Decorating Your Space. Grab yours now! Thank you! Enjoy your freebie and stay tuned for a chance to be in the first class of Decorating Darlings! 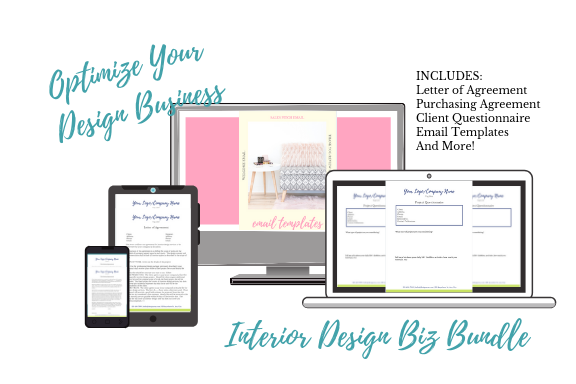 Our design business forms are already available! Click the image below to snag your bundle.